The 2018 conference will take place at the Renaissance Phoenix Downtown Hotel and the Orpheum Theatre. To download this map, please click here. For a downloadable directory of nearby restaurants, attractions, and other locations, please click here. With a beautiful, visually enticing lobby, accessible directly from a light-rail car, the Renaissance Phoenix Downtown's award-winning design is obvious from your very first moments. Stir in our stylish room, first-class service and a typically friendly Arizonan welcome, and it's a heady brew indeed. And when you feel the need to leave the hotel's splendor, our charming local Navigator Sylvie will be able to direct you to the very best Phoenix has to offer, including the historic Orpheum Theater and a buzzing downtown art scene, all just a stone's throw away. 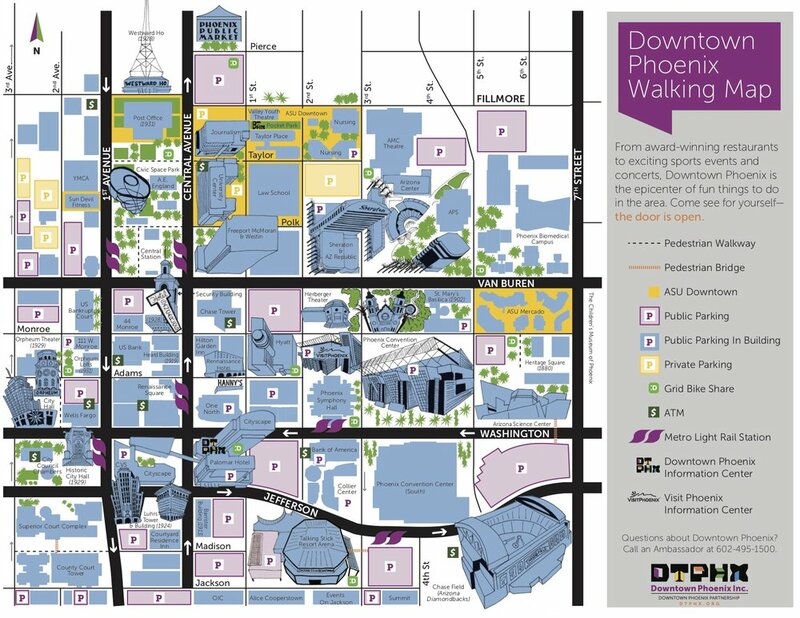 Built in 1929, the historic Orpheum Theatre sits in the center of downtown Phoenix and is just a short walk from the Phoenix Convention Center. With seating for 1,364 guests everyone is sure to have a great seat!